The report presents a detailed market analysis including an in-depth study of the market drivers, opportunities, challenges, and growth trends mapped across segments. The market is segmented based on modality, motility, application, and regional presence. The increasing risk of data breaches along with privacy concerns among consumers, is one of the crucial issues to be looked upon in the current scenario. The effort to deliver such solutions, along with the growing demand of handheld devices, is acting as one of the major drivers for the global biometric authentication and identification market at present. Why is fingerprint recognition so widely adopted, and which biometric recognition system is expected to grow at the fastest rate in the forecast period? What are the technology trends present in global biometric authentication and identification market? In the supply chain, who are the major stakeholders and how they are related to each other? What are the strategies and initiatives adopted by the existing market players to make a mark in the biometric authentication and identification market? Which biometric motility category of the global biometric authentication and identification market is dominating in 2018 and which category is expected to dominate in 2023? What is the revenue generated by different applications, and which application category is currently dominating the global biometric authentication and identification market? What are the major driving forces that are expected to increase the demand for the global biometric authentication and identification market during the forecast period, 2018-2023? Which country is expected to be dominant in adopting the biometric authentication and identification market during the forecast period 2018-2023? 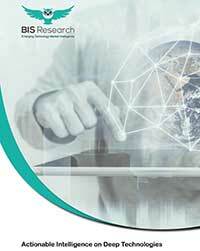 What are the major restraints inhibiting the growth of the global biometric authentication and identification market? What major opportunities do the major players foresee in the biometric authentication and identification market? What is the competitive scenario of the key players operating in the global biometric authentication and identification market?